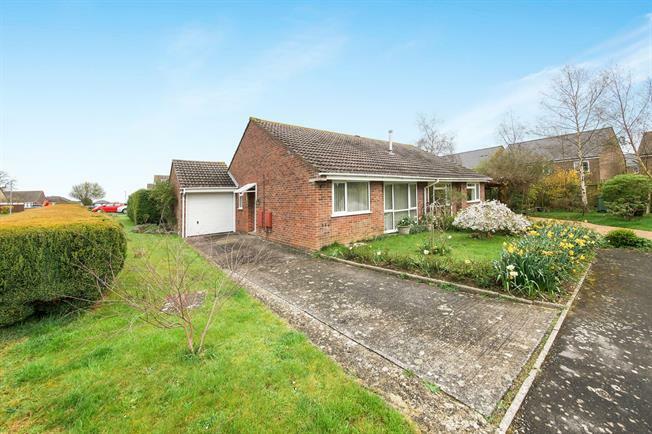 2 Bedroom Semi Detached Bungalow For Sale in Yeovil for Offers in excess of £200,000. This well proportioned two bedroom bungalow is situated at the end of a popular cul-de-sac on Trent Close. The bungalow benefits from a good size plot that includes a driveway, garage and interesting yet low maintenance rear garden. Upon entering the property you are welcomed by an entrance hall with useful storage cupboards, that provides access to : two bedrooms with built in wardrobes, modern bathroom suite, living room, kitchen and conservatory. The bungalow also benefits from gas central heating and double glazing throughout. With window to front, built in wardrobes and radiator. With window to rear, radiator and built in wardrobe. With window to side and white suite comprising low level WC, shower cubicle , pedestal wash hand basin and full wall tiling. With power, lighting and up and over garage door (electric is connected if desired). Situated on a good size plot, the bungalow benefits from elegant front and side gardens that are largely laid to lawn with flower borders; as well as a driveway providing ample parking. To the rear the garden is varied and elegant, consisting of gravelled area, feature patio area with low level hedging, flower and shrub borders, archway to further patio area, summer house and shed. A fantastic garden for all enthusiasts to enjoy their garden without high level maintenance.